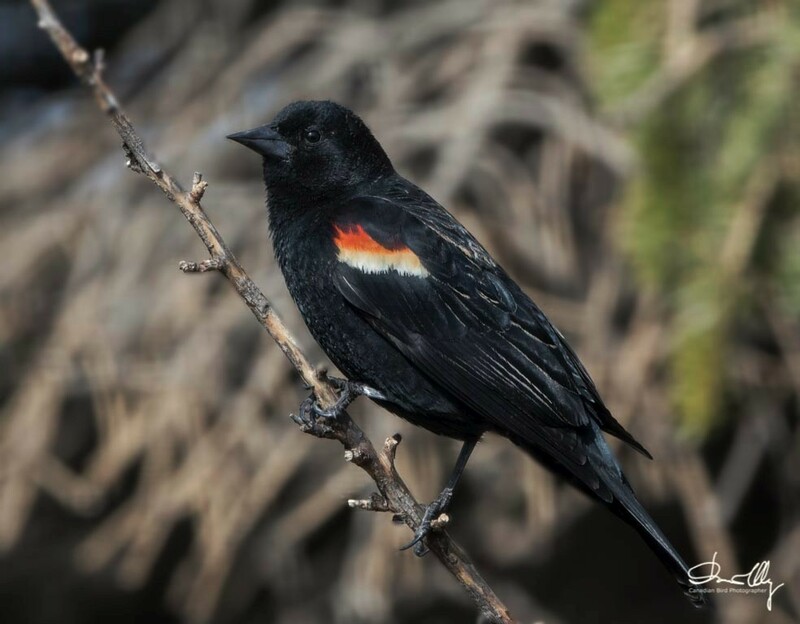 Every spring I look forward to the return of the Red-winged Blackbird. The males return first to establish a territory and then wait for two weeks for the females. Some of the males I have seen this spring are first year birds - as in the bottom right photo. They have not developed the distinct red on the wing as in the bird in photo1. They also look rusty and not pure black as a mature bird. 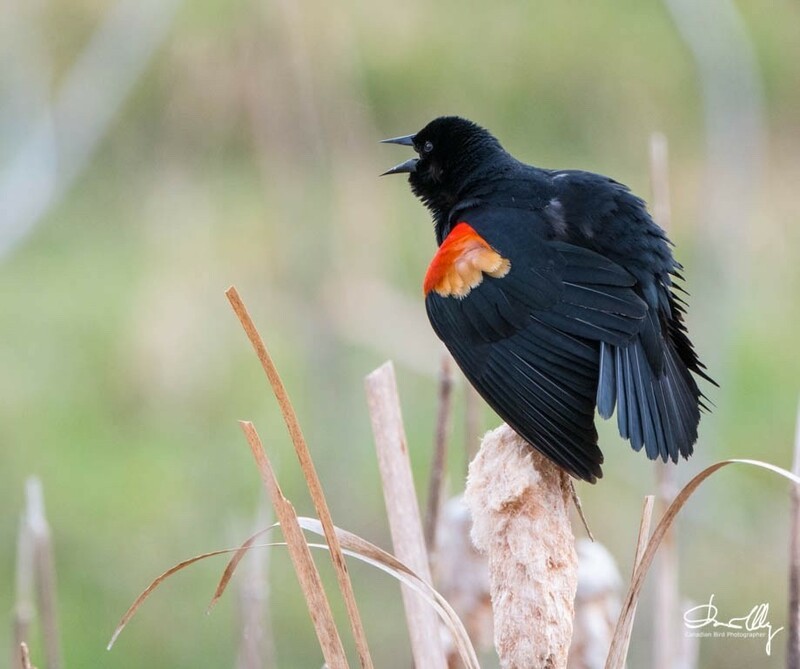 Red-winged blackbirds are difficult to photograph because of their black feathers. On sunny days the feathers reflect the sun causing it to be overexposed. 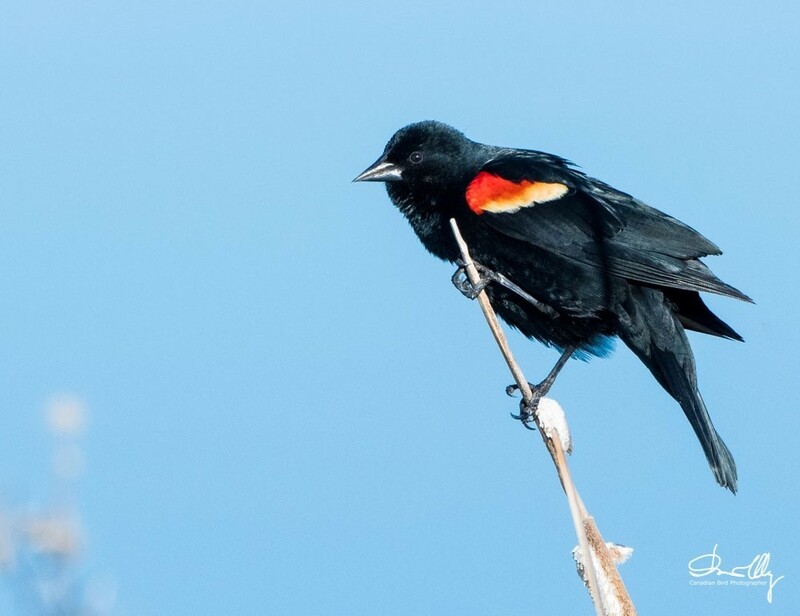 The best light for photographing these birds are in early morning or on overcast days - both photos below were in overcast light.